Teaching subtraction of multiples of ten? 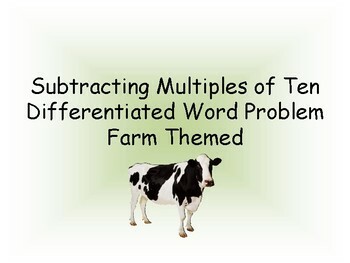 Pair this word problem with a farm related book (perhaps Click, Clack, Moo?) for a literary connection! 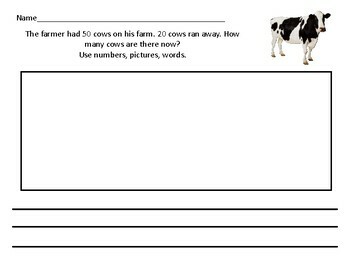 Students must use numbers and a picture representation to solve their differentiated word problem. Students must then explain their thinking through words.